Best practices and resources to build, strengthen, evaluate and sustain effective mentoring programs for youth considered at high-risk of under education, unemployment, homelessness, criminalization, and other negative outcomes. There are many different kinds of evaluation. 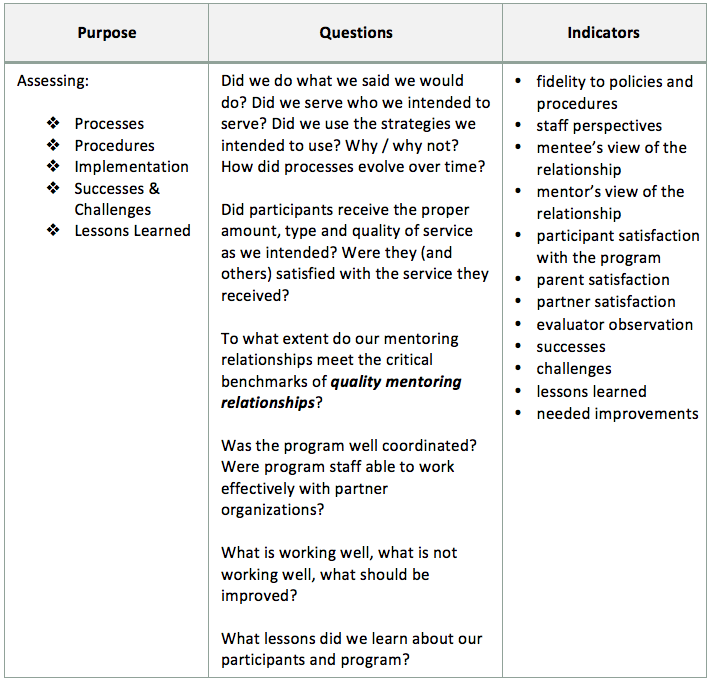 Below we briefly explain performance monitoring, process evaluation, and outcome evaluation. A program evaluation must be tailored to the specific program in question – it can therefore be difficult to find resources that are relevant to all. These resources can offer some practical help with evaluation. Through how many activities of different types. An outcome evaluation assesses whether your efforts had the impact you intended or expected them to have. 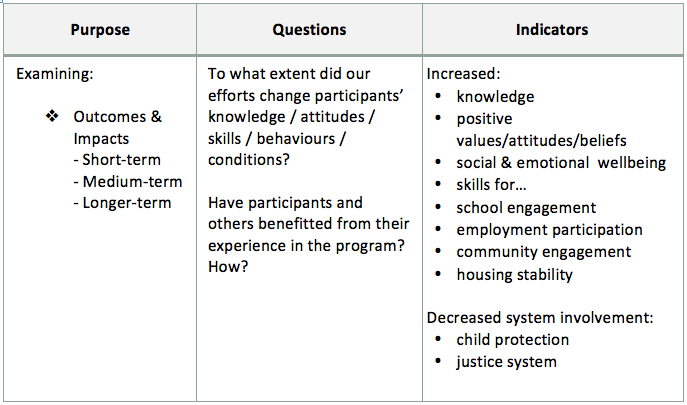 Typical outcome measures reflect changes in level of knowledge, values/attitudes/beliefs, skills, behaviours, and conditions (i.e., health conditions, employment, system involvement).1 In order to assess change, data collection tools must be administered at intake to determine a baseline (pre-intervention), and then again after certain periods of time during and/or after the intervention (i.e., post-assessment / follow-up at 6 months, 1 year, etc.). Wholey, J.S., Hatry, H.P., & Newcomer, K.E. (2010). Handbook of practical program evaluation (3rd ed.). San Francisco, CA: Jossey-Bass. Bania, M. (2015). 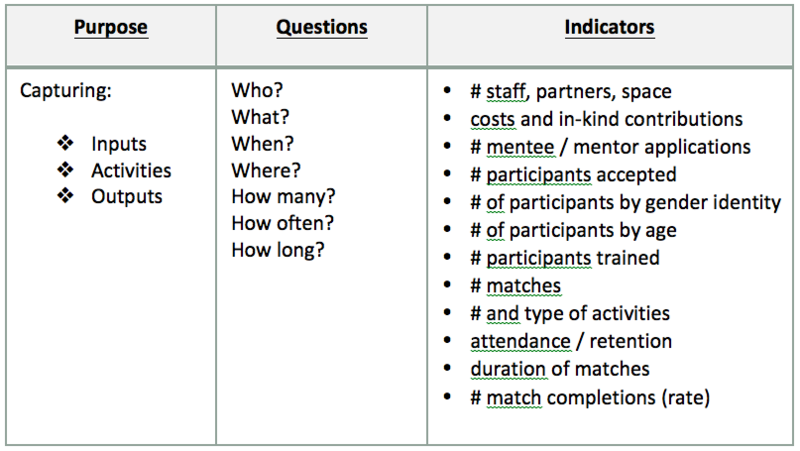 Evaluation of mentoring programs. Presentation for the Ontario Mentoring Coalition, Toronto, ON, February 2015.